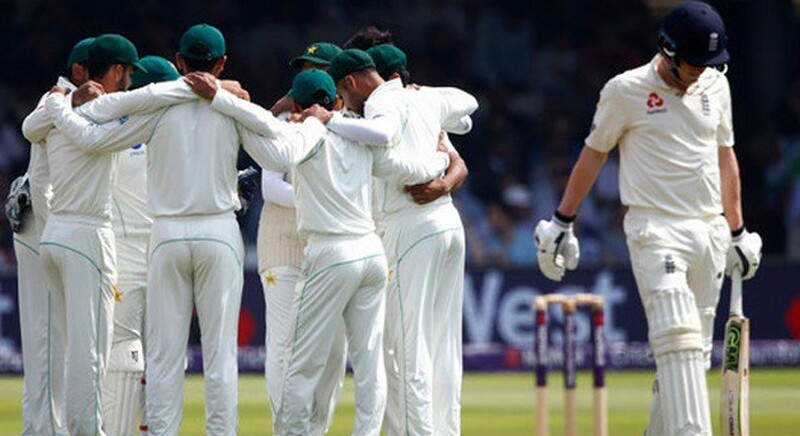 In the first Test at Lords, Pakistan did to England what Pakistan does best – surprise everyone when they expect it the least. I’ll make a confession, I was hopeful for Pakistan to perform but not confident enough to wake up so early and sacrifice my sleep over it, since the match started at 6am in New York. When I woke up, England was four down for a little over 100 runs. Then, Mohammad Amir ran in and got Alastair Cook bowled with a move that only Amir could have pulled off. From that moment onwards, I was glued to the TV for the next three days. What made Joe Root choose to bat first in overcast conditions with moisture in the pitch is beyond my knowledge. He could have had a “brain fade” moment or he was overconfident, but either way, it helped Pakistan secure a victory in the first Test match in the series. Abbas isn’t about Pakistani fast-bowling swag. He isn’t express fast, he doesn’t have long hair and he doesn’t carry a thick golden chain in his neck either. He is none of that. He knows only one thing and that is bowling with discipline that earns you wickets. He is less about style and more about effectiveness. Full marks to Abbas for his eight wickets that crippled England’s batting order. Babar needs no introduction anymore. He has cemented his place in shorter formats and convinced the viewers he deserves a go in Test matches as well. His past Test match performances were embarrassing to say the least, but his 68 in the first innings were a treat to watch. It’s extremely unfortunate that Babar got injured in the middle of a beautifully constructed innings that seemed to be on its way to a 100. I would recommend him to wear an arm guard next time! I wish him a speedy recovery. Asad scored 59 in the first innings but coupled with the slip catches he took, he deserves full marks for his efforts. Watching Asad construct a fluent partnership with Babar in testing conditions took us all by surprise. If anything, Asad might want to work on the short ball because it was the same ball Mitchell Starc got him out with when he was on his way to make history against Australia. I have been critical of Amir and that’s no secret. This time around, his bowling efforts were on the mark. He earned five wickets in total but he delivered wickets when we needed them the most. He got Alastair in the first innings when he was becoming an obstacle for Pakistan and then he returned in the second innings to get two wickets in an over to get Pakistan right on top. Jonny Bairstow must feel unlucky to be at the wrong place at the wrong time. It was simply an unplayable delivery. One down is one of the most critical positions to bat in any form of the game and even more so in Test Matches. One down batsman often needs to steady the ship after a fall of an early wicket. Pakistan was 12/1 in both innings when Haris walked in but he made sure nobody pressed the panic button. He played a fluent 39 each innings but we do expect a bigger score from him coming soon. Faheem didn’t pile on runs or bagged a handful of wickets but we didn’t expect that from him either, did we? He is brand new to Test cricket and playing in one of the most testing conditions. His 37 off 38 balls were a treat to watch. He showed aggression and the will to score while on the pitch. He also picked up a wicket of Jonny in the first innings. If there is one player with a certain bright future ahead of him, it is Shadab. At such a young age, the guy has made his place in all three forms of the game for Pakistan, which is absolutely incredible. His 50 in the first innings, along with a few handy wickets, puts us in a dilemma on how to keep him on the side when Yasir Shah returns. Hasan is new to Test cricket as well and still has plenty to learn as he plays more. His four wickets in the first innings nonetheless setup Pakistan’s dominating position. I hope someone is managing his workload because he along with Amir is playing all three formats. Azhar was critical in the first innings. When conditions were tough and England’s bowlers were trying to roll over Pakistan, Azhar stood there and negated the new ball. His 50 came at a time when we were most nervous of a batting collapse from the top order. However, as one of the most prolific Test batsmen in Pakistan’s current side, we expect more runs from Azhar. Hence, some marks are taken off for not converting a 50 into a bigger score, and falling early in the second innings. Six and a half out of that seven is for his captaincy and catches. The other 0.5 is for his batting. Sarfraz has been a great leader but his personal contribution in the batting department has been lacking. There is a sense of urgency and rush when he comes out to bat. He needs to take a deep breath, calm his nerves and spend some time on the pitch to give himself a chance to score big. Imam didn’t get a chance to bat much in the second innings and his first innings ended far earlier than he would have liked. His contributions in this Test were not as prominent as other players but he looks determined. Hopefully, he will get a bigger score in the next Test match. Out of the 10 sessions played, Pakistan dominated England in nine of them. This wasn’t just a win; it was a stamp of authority from Pakistan. While the English media will grill England’s Test side over the next few days, Pakistani players will be flying high on confidence. A similar performance from Pakistan would be expected in the next Test match as well. A whitewash is very much on the cards and this time it would be against England, in England itself. Good luck to Pakistan for the second Test match!